Money and value: the greatest concensual mass hallucination? This article came across my tweet feed today, about the HSBC being under investigation for possible money laundering and other monetary woes. Needless to say, I was not shocked that this had been happening. What’s that you say? “Not shocked???!! !” Well, no. Not really.Okay, maybe a little bit. Outraged, most certainly, but not shocked. Disappointed, oh you bet, but not shocked. Now, I am not about to go into the legal ins and outs, or the moral implications of taking money from known terrorist groups, suffice to say I think it stinks that one corporation will accept profit from sources that are murky at best (because yes, banks actually profit from the money that is being held in trust. They don’t just do it out of the goodness of their hearts – there’s something in it for them). What I am about to go on about is the fact that this is a large bank, with ties all over the world. Most of us have either had ties with HSBC, or have ties with a company that does. What happens if this bank gets more than a little slap across the wrist? Well, apparently this sort of a thing is nothing new for the bank, who has ties to the cartels of Mexico, and has done for quite some time. So, the ramifications of HSBC being prosecuted? Not much really. Well, that is if you consider that this could go one of two ways. Either, those responsible get jailed and “shockwaves” go through the banking “community”, in which case, new people get employed in their positions and they either run the bank ethically and we all live in sunshine and happiness, or they go back and run the bank in exactly the same ways albeit a little more sneakily, in which case the same old cycle starts again. OR the whole bank gets fined a ludicrous amount of money. This, as an option, can one of two ways. Either the amount they are fined is equal to or less than the annual profit of the bank. If this is the case, then they pay the money, shareholders get angry, some jumping ship but ultimately they see the profit the company can make as what they’ll get on their ROI in the next financial year and so stay. On the other hand, the fines will amount to more than the annual projected profit. The shareholders will try to jump ship, but won’t be able to because the assets of the company will be frozen as it goes into administration, and one of the worlds banking giants falls. And if all the cards come crashing down…? Well, it wouldn’t be the first time. Or even the second. But it would be felt harder and further than any previous financial crisis. Why do I think this? American banks, from which the 2007-2012 crisis originated, had ties overseas. These were not so heavily intertwined with average Australians. HSBC is one of the largest lending banks across the world, with “…around 7,500 offices in over 80 countries and territories in Europe, the Asia-Pacific region, North and Latin America, the Middle East and Africa. With assets of US$2,556 billion as at 31 December 2011…” Now do we see where this is heading? I am not proposing that we step away from prosecuting these banks, or making them accountable for their interactions. What I propose is something entirely more radical and, potentially more anarchical (at least in the early days). How about we enact a shift in perceived value? It’s an odd concept, and some watching this video may not understand how it can work in the financial world. I am going to let you in on a little secret that few people have actually ever spoken: Money has no real value. Think about it. It’s little pieces of printed paper or alloyed metal stamped with images. In itself, there is no value, until we perceive it has value. The perceived value of money is, perhaps, one of the greatest ‘consensual mass hallucinations‘ we have in this world today. And, with that, I will let you think about how you perceive the value of the things in your life. 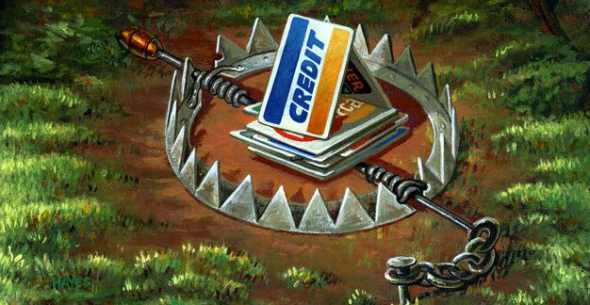 Surcharge for Debit or Credit Cards? Why?! With the world becoming increasingly automated and payments online becoming the norm, the option to pay bills without the use of a credit card or a debit card is becoming harder and harder. At least, if you want to maintain control over exactly when your bills are being paid out of your account. Sure, you can set up direct deposits, if you know you’ll always have the right amount of money in your account when the company decides to ask for it. With so many more people living hand to mouth these days, that is becoming harder for some people. Also, given that some of the charges for keeping a credit card are increasing, having one of those and then having your salary paid into that account is harder as well. It seems, at least amongst younger people, that a debit card and a savings accounts are the only mean of paying bills that they have. Why then do some companies still insist on having a surcharge on payments made via credit card or debit card?! Is it really that much more work for them to process the payment? Do they get charged for such payments at their end? How can they justify these extra charges? I tried to find the Australian charges for retailers on credit card and debit card payments and came up with nothing. Which is unfortunate, because I think consumers would really like to know what is involved in a retailer accepting such payments. I know I for one would like to know whether an online business is screwing me over. If they only get charged x percentage of the transaction to accommodate that method of payment, why are they charging me three or four times that amount? I think everyone would benefit from a more transparent economic system… Well, except the major banks and credit companies… But surely they get enough as it is? Oh dear, I think my “socialist” roots re showing again, better go and cover up that red.